Super채널 ALL TV는 캐나다 전국 방송망 구축으로 Rogers, TELUS TV, Shaw 와 TV 프로그램 배급 계약을 체결하고 한인 다수가 거주하는 광역 토론토 이외에도 밴쿠버, 캘거리, 에드먼튼 등 캐나다 동부에서 서부에 이르는 무한한 방송 시청 가능지역을 대상으로 다양한 장르의 수준 높은 방송 프로그램 서비스를 제공하고 있습니다. 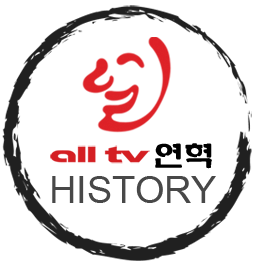 ALL TV is a national Korean language broadcaster, with affiliate agreements with Rogers, Shaw and TELUS. Through these leading telecommunications networks, All TV penetrates key cities with high Korean population: Toronto, Vancouver, Calgary, Edmonton and their respective surrounding areas.